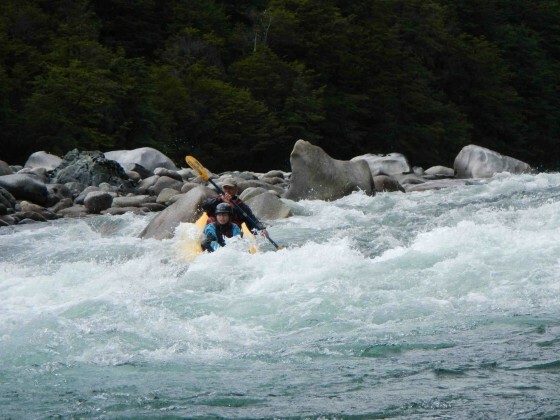 Located near the Argentinian border in the Patagonian province of Palena in Chile´s 10th Region de los Lagos, The Rio El Tigre serves as a major tributary of the Palena. The run features good road side class 2-3 boating with outstanding fishing and scenery plus a more challenging class 4 stretch accessible only by boat hiking or using horses. The river has a mature streambed with granite boulders that form boulder garden rapids with crystal clear water. From Palena take the gravel road out of the sw corner of town…The road climbs initially then descends towards the Tigre Valley. In 5.2 KM there is a Y in the road. To reach the put in go left and follow the road approximately 3.5 km until it ends and work your way down to the river to begin the class 3 section. To reach normal takeout stay to the right at the Y and continue 3 km to Puente El Tigre..Good possible camp spots just downstream on river right side of bridge. 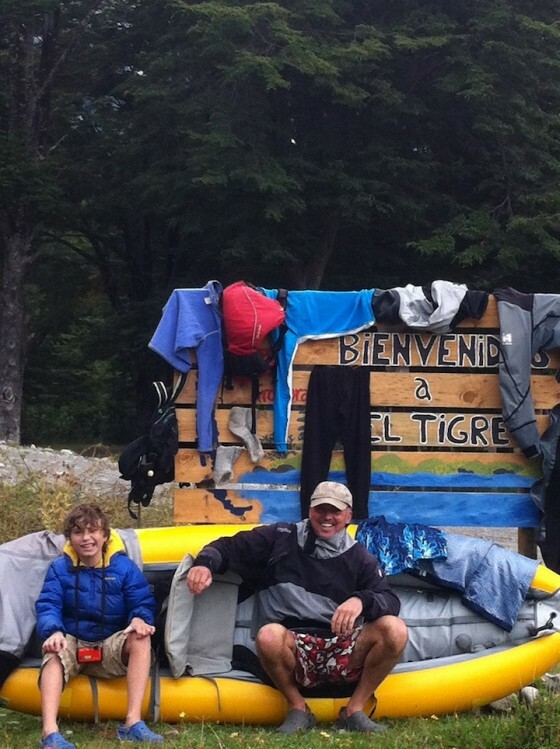 To reach the takeout return to the same Y and go left and follow road 3 km to Puente Tigre. As an option you can continue another 5 km downstream for class 2 water with high quality fishing. 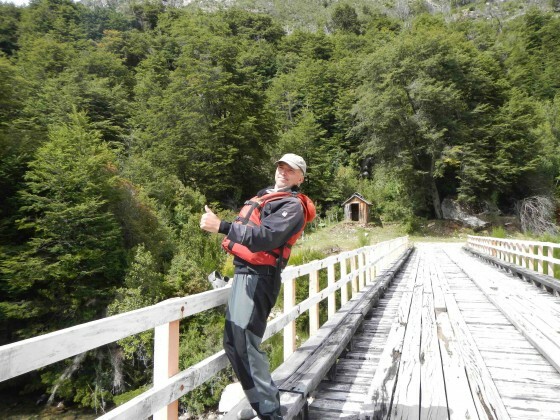 After crossing a small wooden bridge over a rocky creek take an immediate right and you will once again be alongside the El Tigre. Takeout anywhere convenient..
River is best run in summer months after rains and optimal flow anything over 1000 CFS but can be run down to 500 CFS…Care should be taken not to enter the upper canyon at high flows..